Chris Haas of RoHa Brewing Project. Photos by Steven Vargo – stevenvargo.com. Brewmaster Chris Haas for years has wanted his own brewery, but it wasn’t until two years ago that everything clicked. He and pal Rob Phillips, a fellow beer enthusiast, met Josh Stern, and the trio went to work. 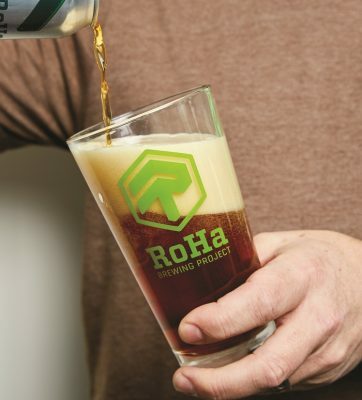 A year later, RoHa Brewing Project was born, “RoHa” being a blend of “Rob” and “Haas.” “Everybody brings something different to the table,” says Chris. Rob is the planner, Josh is the driver, and Chris brews the beer, something he’s been doing for 22 years. RoHa opened in April of 2017 on Kensington Avenue between State and Main, Salt Lake City, in the Ballpark District. “We really like the neighborhood,” Chris says of RoHa’s location. “We visited a lot of places that could’ve worked, but everyone in the neighborhood here is really solid, so that’s the reason we picked it.” The place is small, intimate. All are available at the brewery, while the drafts can be found at prominent Utah grocers and gas stations, the high-point beers at Utah State Liquor Store locations—except the Kensington Grand, which will be on shelves in the next month or two. 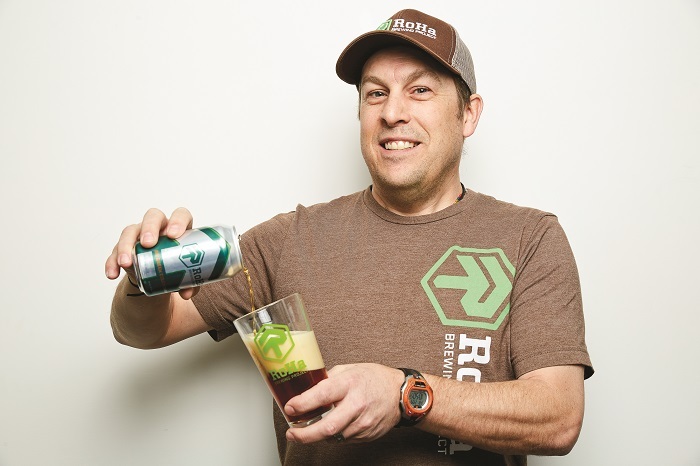 RoHa will release two new beers in the coming months: an 8.5% ABV Belgian stout, and a four-percenter made especially for Utah firefighters, which they’ve collaborated on. Once or twice a month, patrons can join RoHa in giving back during Pints For A Purpose, a designated night of drinking where a percentage of proceeds goes to charitable organizations and their local chapters. Beer lovers have raised money for The Humane Society, The Red Cross, and Engineers Without Borders, to name a few. Think of it as drinking for a cause, or a good cause to drink. Sounds like a recipe for success, and good beer.